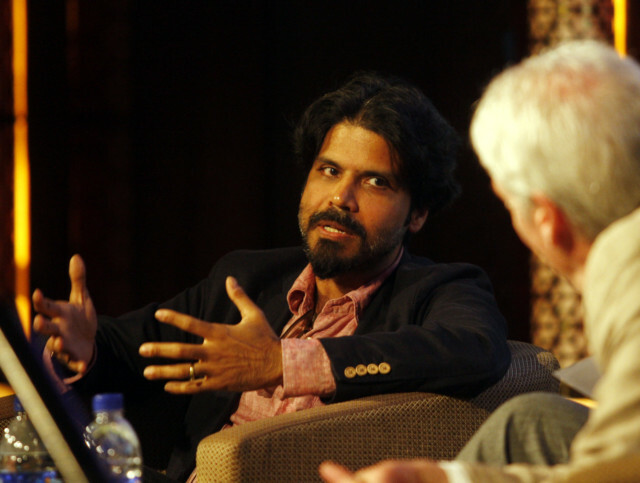 Dubai: Asian revolutionaries saw colonial Britain and France as mere “upstarts” – but wondered how they controlled vast swathes of Earth, said Indian author Pankaj Mishra. In an interview with Gulf News, Mishra said anti-colonial figures realised that growing “nationalism” within imperial societies was a key source of their strength. Other power sources included the “naked greed” for resources and a relatively high-tech military, he added. Mishra’s comments came on the sidelines of the Emirates Airline Festival of Literature (EAFoL) in Dubai on Thursday. “[Colonisers] were not taken seriously at all at first. But they [Asian intellectuals] had to acknowledge the sense of nationalism that had developed in Europe,” Mishra said. He was speaking in the context of his book, From the Ruins of Empire: The Revolt Against the West and the Remaking of Asia, which was among the titles discussed during EAFoL. Mishra said Asians had to accept that in the “dog-eat-dog world of international relations,” they had to take after the West in some ways – such as moving towards a modern, urban and industrialised economy – in order to maintain sovereignty. In his book, Mishra notes how a number of leading Asian figures in the struggle for reassertion “inspired” and even met each other, in places such as Paris and Berlin, sometimes while on the run from colonial security forces. He told Gulf News the sense of “humiliation” felt by prominent nationalists in societies – in India, China, Egypt and the Far East – ruled by colonial powers is one of history’s most “under-reported” discourses. Mishra was speaking ahead of a session titled “From the Ruins of Empire”, which included Jeremy Paxman, a BBC presenter and author, as speaker. The session was moderated by Francis Matthew, editor at large, Gulf News. Paxman also discussed ideas pertaining to his book, Empire: What Ruling the World did to the British. Though Paxman conceded “all empires of that time were racist,” he stressed public figures or governments today cannot be held accountable for the actions of past generations. Matthew pointed out how the authors and others “take different views of how imperialism affected the world” – including how Britain, once in charge of a third of the world, is itself faring today. “The British are left without a world in this world, and they’re struggling,” Matthew said. He added that the UK faces questions regarding its “special partnership” with the US; Britain’s perceived financial and cultural distance from the European Union; and its Commonwealth legacy.